One of the distinctive features of followers of Jesus entering His Kingdom is that they become themselves. Religion is trying to be better than you really are. Christianity is becoming who you really are and creating an abundant lifestyle that blesses people and nations. The key to a personal cup that overflows and blesses others is that your heart has to know why! 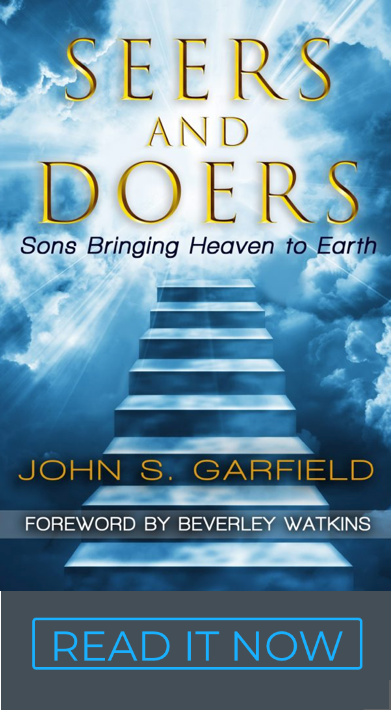 I hear the stories of many businessmen trying to explain their success in terms of obedience, “God told me to do it.” It sounds spiritual, like we’re really connected with God, but it’s disconnected from our own hearts. Sacrificially doing what you’re heart doesn’t enjoy is not a sustainable path to life. It will eventually fail at a motivational level. It’s just religion. Jesus did endure the cross temporarily for a very good reason, the joy set before Him (Heb 12:2). A real connection with God is known by the connection we make with our own hearts. Christ in you is the hope of glory and the wellspring of joy. Knowing Jesus is fun and fruitful. Our hearts were not designed to be obedient servants just executing the what and how. God designed us to be friends and He wants to share our “why.” Servants don’t know the Master’s business and are afraid to ask why or pursue their own why. Friends operate out of the “why” that God put in our hearts. Our personal purpose is the wellspring of creativity, initiative, prosperity and ministry. Our cup overflows for a very good, personal and unique reason. It’s not “one size fits all.” Do you know what that reason is? Kingdom is like… There is a key distinction in Kingdom that is showing itself. There is a personal cause. It overlaps ministry and vocation and is financially self-sustaining. It has some connection with making disicples of nations. It feels more like King than sheep…. more like initiative than obedience. Lasting fruit – People without purpose are simply following the dream of another until they wear out. Then we hop on a new dream from another person and go around the mountain again. When we finally connect with our own purpose it can last a life time… long enough to bear real fruit. That fruit can be measured in our ministry of changed lives and in our finances rooted in the value we provide others (also ministry). It’s our privilege to be anointed to create wealth and bless others. There is a Kingdom anointing for our cups to overflow! Here is a great interview with Britany Turner that makes this point better than I can. She is a 26 year old real estate developer – worth 30 minutes to watch it and see what God is doing with the next generation. Ask whatsoever / have fun – Servants have no confidence to ask God for anything. Kings carry the assurance and authority to command the mountains to move because they know their hearts desire is shared by their Father. We are not asking for the initiative or agenda of another. We are not asking on behalf of another. We are asking for what we want out of our own heart’s desire. It’s a totally different level of power in the Spirit. We stop asking God what His will is because we know. Answered prayer is fun, our joy is full. Love people – When we are finally free to be ourselves, connected with our own hearts, we start to see the desires in the hearts of others. We naturally help these captives transition from servant to King and possess their own land. Few people in life pull us into our own hearts instead of their agenda. When it happens it feels like love. When God and other people prophetically touch the desires of our hearts and encourage us to pursue them, we feel a level of respect and love that is amazing. 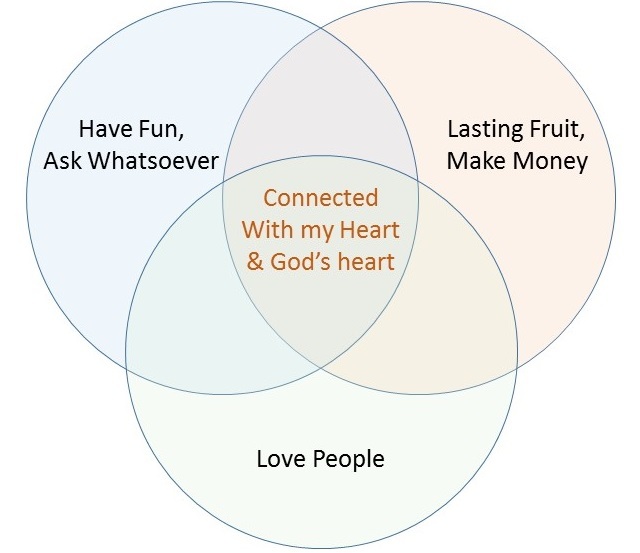 A Kingdom connection with our own heart and our Father’s heart is very simple, Have fun, make money and love people. You will also enjoy a prior newsletter on Connecting with our Heart.